Friday, March 24th– This Friday, March 24, 2017, at H.O.M.E – Portland House of Music and Events the annual Stache Pag is back! Part talent show, part costume contest, part facial hair competition, it’s the 2017 Stache Pag. Grab your tickets and come join the fun as mustachioed men (and facial hair-clad women!) 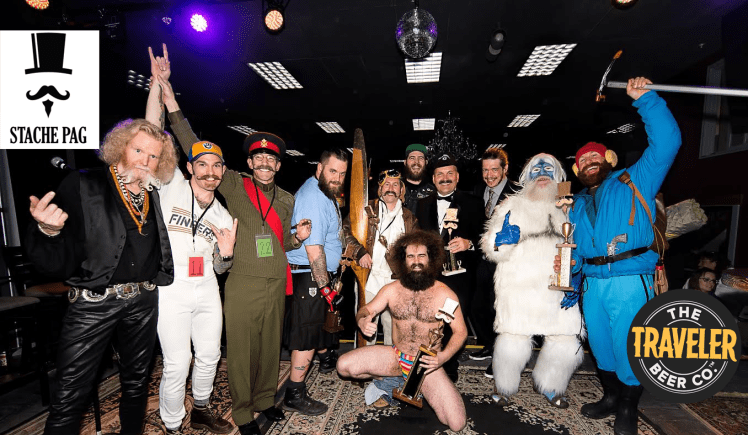 perform for your adulation while competing for the title of the 10th Annual Mr. Stache Pag. The competition will begin at 9:00 pm Sharp. Contestants will strut their stuff on the catwalk while the host announces his name and a few observations. Each mustachio gets five seconds and some funky music to work with. After the first round, competitors will enter into the talent portion of the show. Awards and the “Mr. Stache Pag- Best in Show,” will directly follow. After the Pag (beginning at about 11 pm) it’s a dance party with Dj Tim spinning 4 x 4 Disco House Funk and other music to inspire conception. Presented by Traveler Beer Company, this annual Maine spectacle is one you don’t want to miss. Grab your tickets and be sure to follow the Facebook event page for updates. Join Stroudwater Distillery in the Brick North building on Thompson’s Point a night of cocktails, giveaways, and karaoke starting at 7 p.m. Stroudwater Distillery makes spirits in a classic New England fashion- “damn good, down to earth, and never fussy.” With a focus on curating high-quality spirits and a keen eye for great, solid flavor profiles, Stroudwater Distillery is currently rolling out distinctive bottles of Bourbon, Rye, Vodka, and Gin. Their passion for great spirits means that they won’t bottle anything that doesn’t meet their high standards. Hosted by Jon Shannon from WPOR! 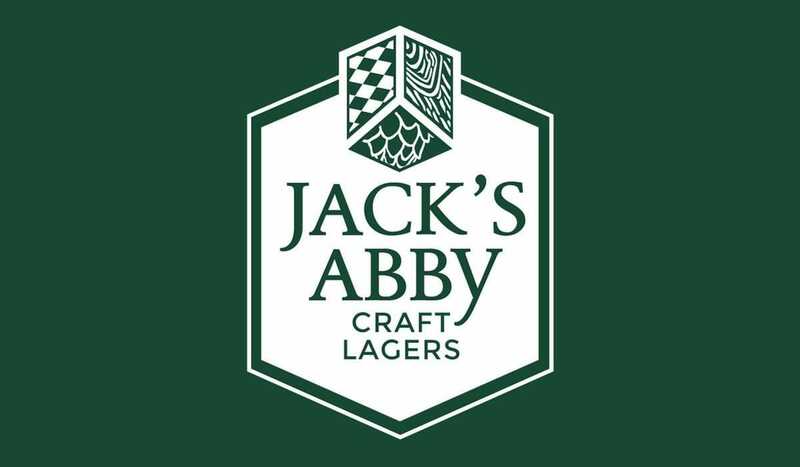 Jack’s Abby will be at the Bier Cellar from 4:30-6:30 for a free tasting. This will be an excellent time to socialize, get familiar with the Massachusetts’ brewers of world class lagers, and taste some delicious beer. 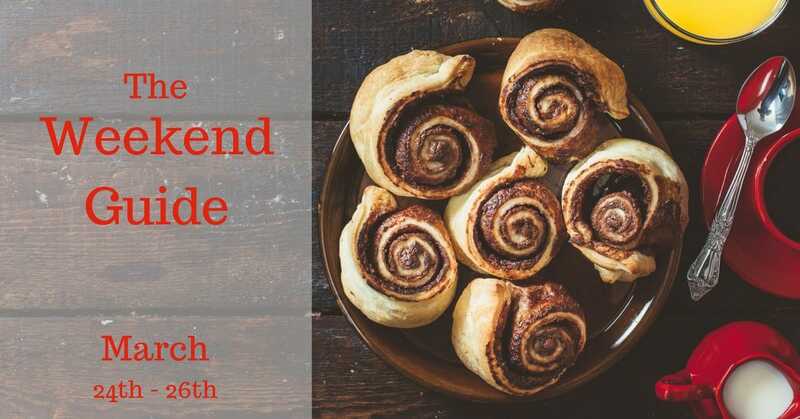 Saturday, March 25th– Every Saturday help support local makers and artisans by gathering at Urban Farm Fermentary and checking out their #mainemade items and goods. The Maker’s Market at UFF at 200 Anderson Street is a Portland public pop-up market. Swing by, grab some tasty beverages, and check out marvelous Maine makers! Customers are encouraged to #buylocal, and all makers are welcome. Parking is available in front, and around the corner in a shared lot (by the loading docks). 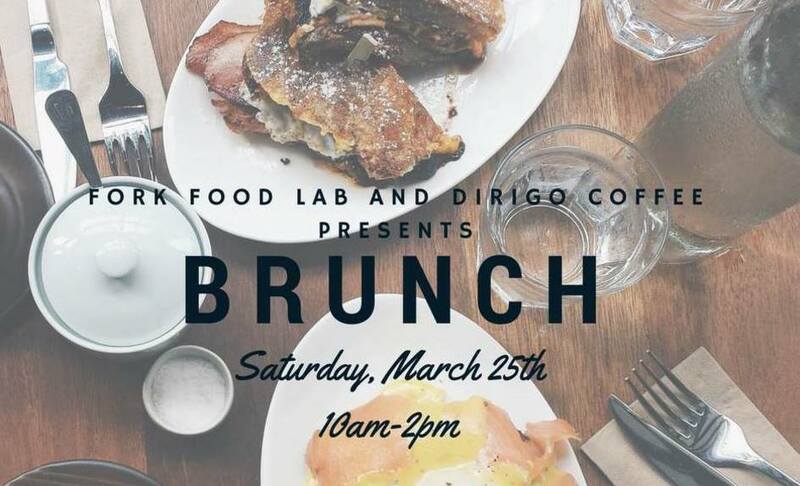 There is no registration fee or sign-up, space is first-come first serve, with doors opening at 12:00 p.m.
RSVP for Brunch at Fork Food Lab. Amazing food and spicy micheladas, what more could a person ask for? This time Dirigo Coffee and Maker’s Mug will be leading the meal. Gather at Fork Food Lab at 10a.m. as they prepare dishes both sweet and savory. It’s an exclusive opportunity to check out Fork’s tasting room while enjoying the week’s best meal. Party into the night at H.O.M.E. with ZEME LIBRE, Gorilla Finger Dub, and Hambone. 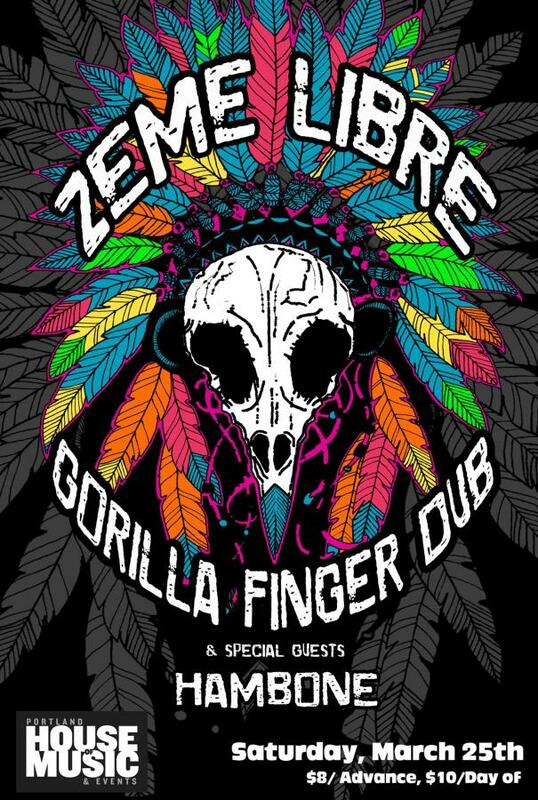 ZEME LIBRE’s Afro-fusion, hard tinged reggae and ska beats are sure to please, as Gorilla Finger Dub’s roots reggae spark a relaxed atmosphere. Hambone’s 4 piece Soul Jam Fusion Band, with roots in Jazz and Blues, will be bringing the night together as their soulful sounds symphonize the show. This is a night you don’t want to miss. The first 25 people through the door get a free CD. Get there before they’re gone! For tickets follow the link here. Sunday, March 26th– DJ Hi-Duke will be performing at Oxbow Blending and Bottling for Jazz Sunday. Join them for some jazz, soul & funk at their 49 Washington Ave location from 2 p.m. to 5 p.m. Their facility is home to barrels and tanks in which they age their funky and sour beers. All blending and bottling take place onsite. Located in the bustling section of the city where East Bayside meets Munjoy Hill, their warehouse is also home to a large, urban tasting room. For private space booking inquiries contact Anne@oxbowbeer.com. Gallery 49; an exhibition space to display contemporary artwork will be on display. 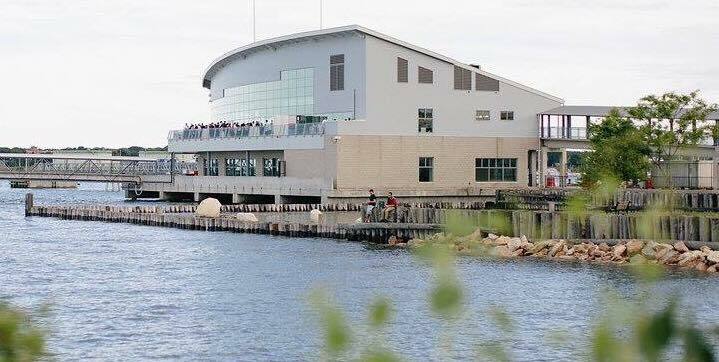 Don’t miss The Holistic Wellness Event happening Sunday at 10:30 a.m. at The Ocean Gateway Pier. Featured events will include the healing art of reiki, the eye of henna & tattooing 13 Moons Tattoo, yoga, nutrition, jewelry, fashion, massages, natural oils, books, scents, cooking, women’s health and more! There will be something for everyone including lots of fun raffles and giveaways! Grab the family and head on in! Admission and parking are free. For more info call 1(207) 808-5400, or email clare@portlandmaine.gov.